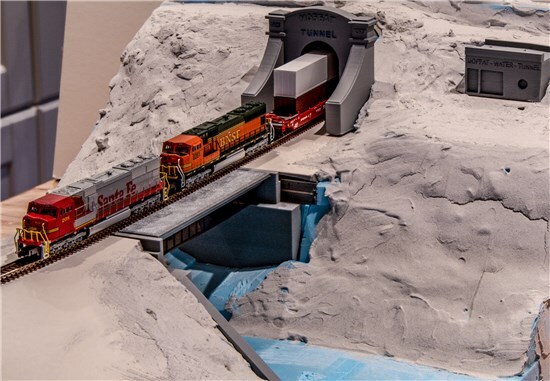 Moffat Tunnel is one of the famous trainspots to be created in model by Model Railroaders. I have under construction a diorama showing the Moffat West Tunnel portal at Winter Park, Colorado. Check out Google map of the area, and TopoZone Map. Some history of the tunnel: Moffat Tunnel. 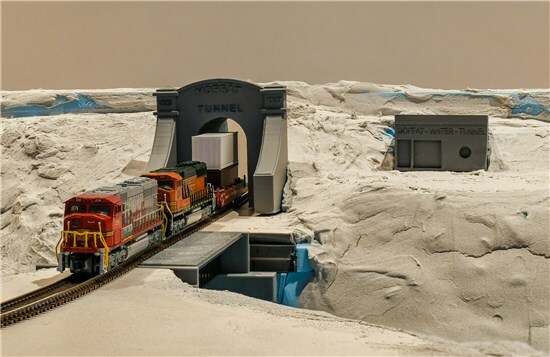 There is also a very nice model of the east entrance build in Z-scale. I will come back to that later. 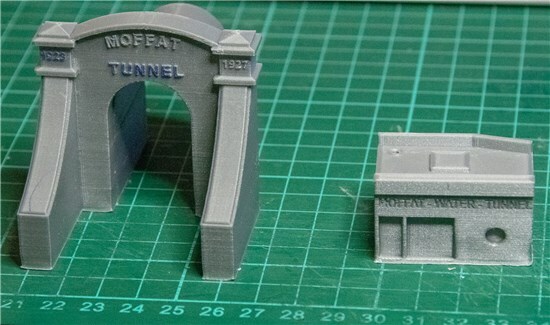 The Tunnel Portal, the house for Moffat Water Tunnel and the bridge just outside the tunnel portal are all 3D-printed. I think the resolution and quality is good enough for Z-scale. The 3D-printed models. Need some sanding and paint.